Equip your brewery with new or used equipment for a low down payment!!! 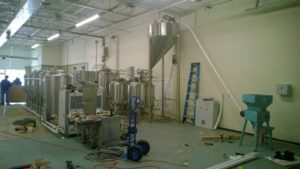 BreweryCapital.com can provide financing options to help you grow your brewery today! Get approved in as little as 5 minutes for between $5,000 to $5,000,000. Apply for financing today: https://www2.brewerycapital.com/apply Or give us a call at 760-438-1470 ext 117 and ask for Kyle! I am a lawyer that focuses almost exclusively on beer law. I have helped dozens of breweries at applying for their federal brewer's notice. For a limited time I am offering to provide this service for a flat fee of $2,000, with half being billed up front and the remainder being billed upon issuance.